With the evenings growing inky suspiciously early, and the first leaves fluttering down from the trees, we’re starting to realise that the light layers which got us through summer won’t cut it much longer. 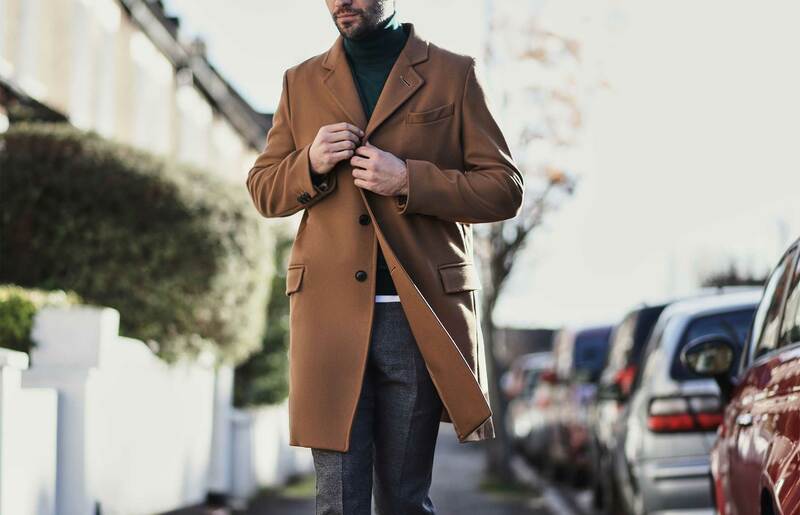 It’s time to embrace the transitional wardrobe and its most important element: the proper coat. You might not need it every day right now, but odds are the weather will offer an opportunity at least a couple of times a week. “It’s best to be prepared,” says Toby. “You want to have your coat in your wardrobe for the first day you really need it, not be desperately buying one when that first unexpected frost hits." This quartet of cover-ups are what we’re wearing right now, but they’ll also look good all the way until next summer. 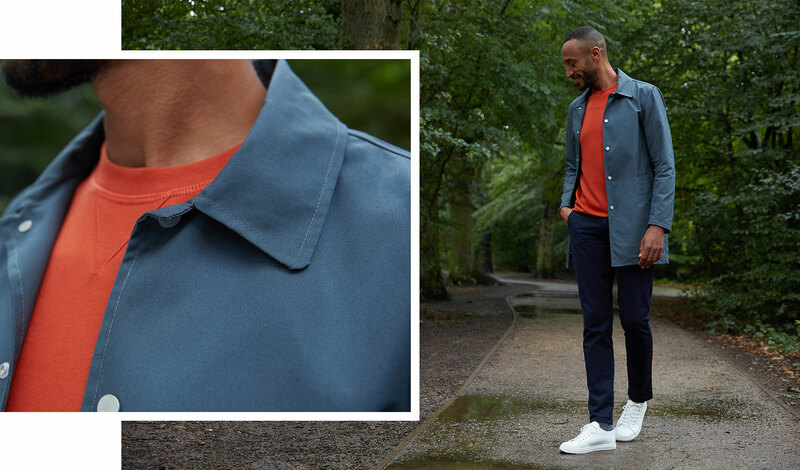 The mac is named for its inventor, Charles Macintosh, a 19th-century chemist who first came up with the idea of making cotton waterproof by infusing it with liquid rubber. His version, though good in a downpour, was predictably sweaty when things cleared up, so modern versions have updated the materials to make them more breathable. The rest of the design sticks close to the original and that pared-back look means a mac's the ultimate go-with-anything option. "You can wear it for any occasion," says Toby, “from the office to your mum’s house.” To nail that versatility, just stick to neutral colours. “Although if you want to make a statement, there are brands that make macs in brighter colours. This version from Wax London also comes in scarlet and kiwi green." As for fit, Toby recommends one that ends above the knee, like a trench coat, or you risk looking like a Gallagher brother. 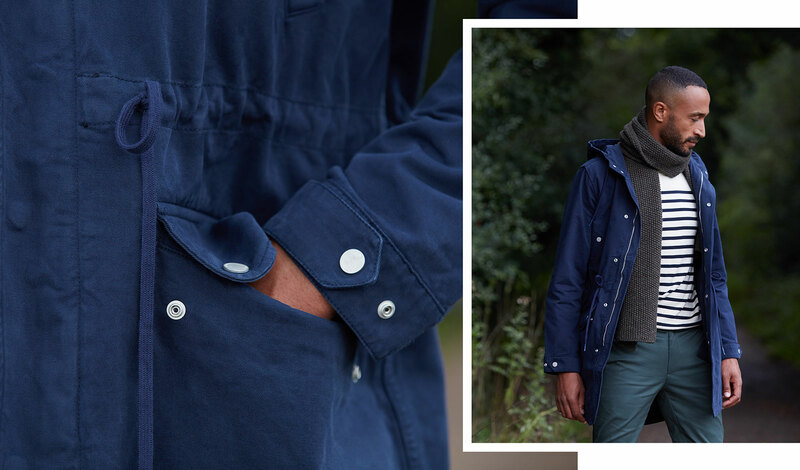 “It also means that if you do cinch the waist with the drawstring, the bottom half doesn’t puff out like a skirt.” Parkas should be pretty minimalist; the best respect their military roots and stick to materials like contton and canvas, in colours that don’t stand out too much. This means that you can wear bright clothes and patterns underneath without looking too busy. "A walk in the park, a trip down the pub; wear a parka," says Toby. "It’s perfect in places that aren’t too stuffy." 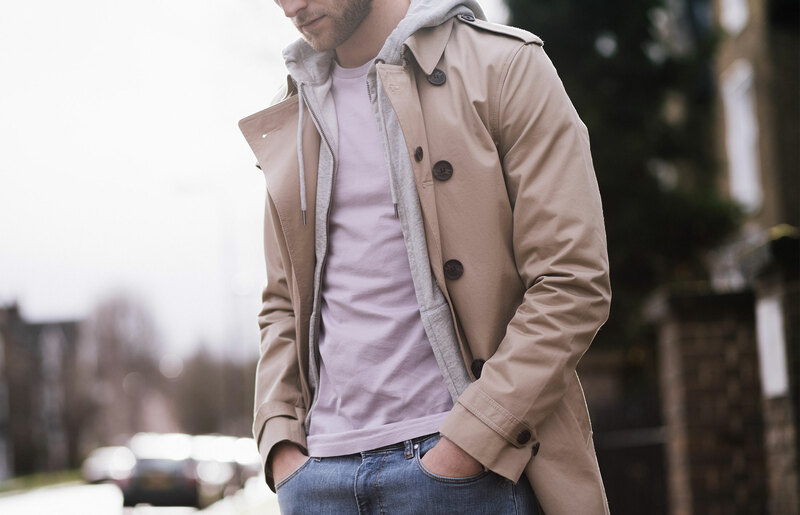 Invented by the Dutch, nicked by the English, the pea coat’s been the sailor’s favourite for a few hundred years. Slip one on and it’s easy to see why; the combination of heavy, spray-proof fabric, hand-swallowing pockets and that stand-up collar, designed to keep a nor’easter off your neck, are all much appreciated when you’re trawling for cod. But as with anything so practical, landlubbers have caught on; for style cues, just look to Robert Redford and Ryan Gosling . 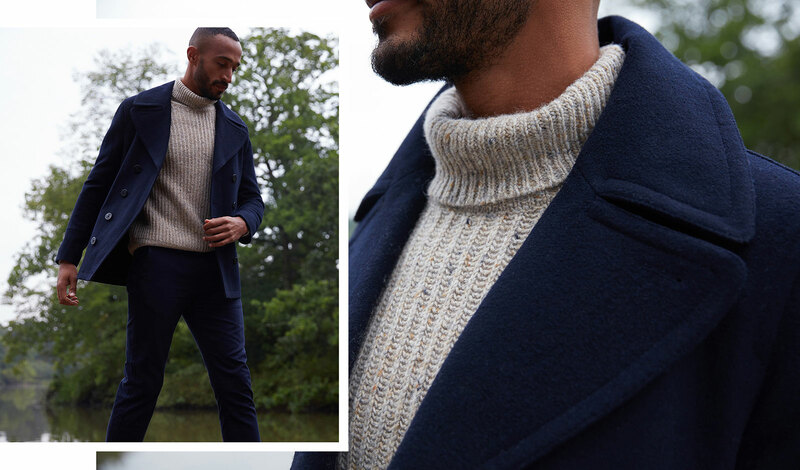 "Pea coats look best with heavy knitwear and roll-necks as that harks back to the garment's nautical roots," says Toby. "That’s also why it needs some weight; it seems obvious, but the heavier the fabric, the warmer the coat. 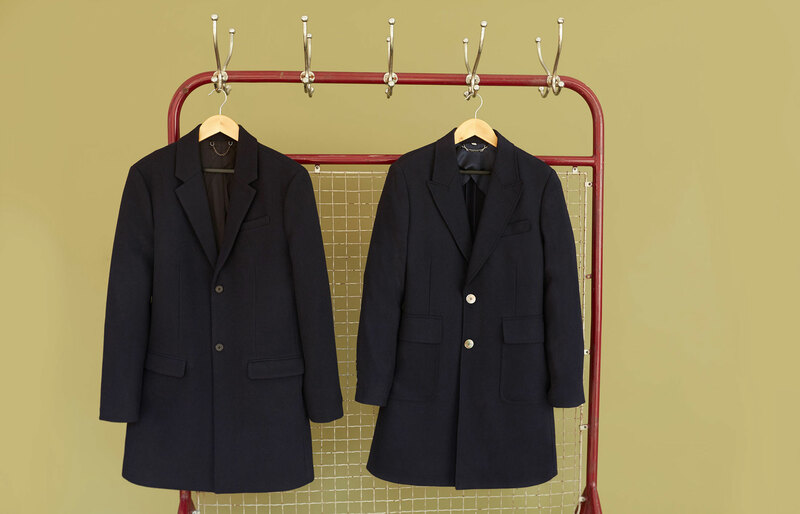 You don’t want a pea coat to be so flimsy that the collar won’t stand up." Quilting exploits the fact that air is an excellent conserver of heat. By stuffing a jacket with an air pocket-filled material (on expensive jackets, that’s down; more affordable versions stick to man-made fabrics like polyester) it traps the warmth from your body, right next to your body. Arctic explorers trek in down jackets because they offer so much warmth for their weight. "This is one for that first bitterly cold mornings," says Toby. “To figure out how insulating a jacket is, look for its ‘fill power’." The higher the number, the more you’ll sweat if you misread the forecast. 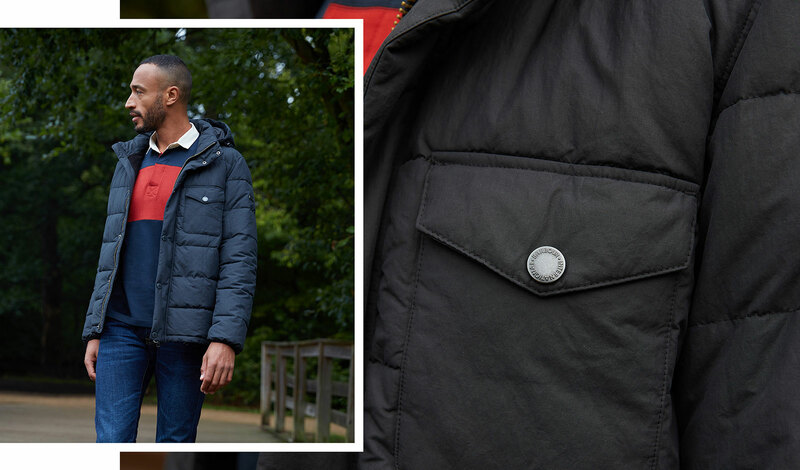 "With quilted jackets, it's best to keep outfits casual – definitely don’t wear it with a suit. Think chinos and an Oxford shirt, or a pair of jeans and a t-shirt."